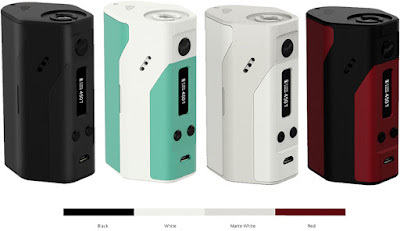 The RX200, designed by JayBo, still features the use of three removable 18650 batteries and reverse polarity protection. However, the new and powerful chip has a maximum output of 200 watts and advanced temperature control functions including Titanium, Nickel and Stainless Steel modes. The upgradeable firmware and vibrant color options separate this from the rest.